It got a lot of people hot under the collar. Which was the point. It started one Friday morning in a certain Toronto neighbourhood populated by a lot of, let’s say, fairly comfortable people. An empty store was boarded up as though in preparation for new construction. 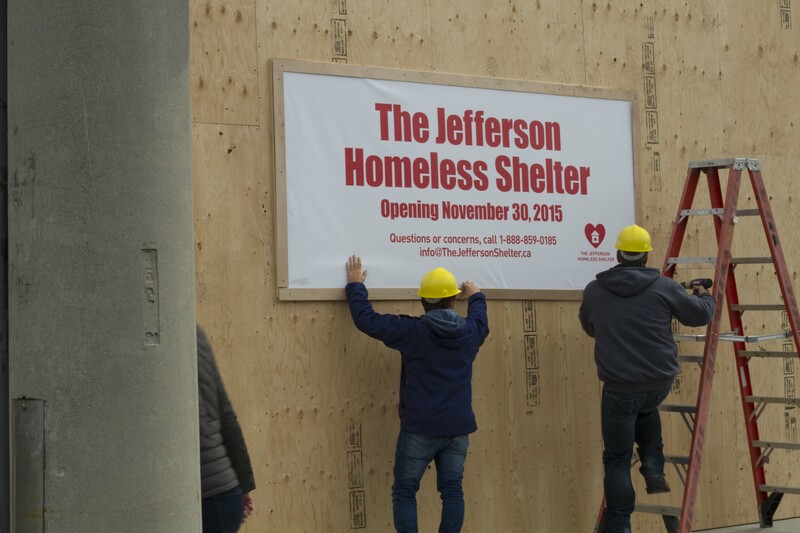 And then a large sign was hung – to announce the new homeless shelter that would soon be built here. A hidden camera captured passersby grabbing information flyers, taking pictures and trying to peer into the construction site. “People were very upset, people were crying,” a journalist in the community told The Toronto Star. Pardon us, did we ruin your Friday? Next day, the sign was replaced with a new one: “You told us you don’t want a shelter here. Neither do we.” It was followed by an appeal to help solve homelessness. The brilliant stunt was revealed as an exercise to raise awareness. According to Raising the Roof, the Toronto charity that set this up, at least 35,000 Canadians will have nowhere to go home to tonight. About 235,000 in total will be homeless at some point in the year. That doesn’t even take into account the 50,000 couch-surfing “hidden homeless” Canadians with no place to call their own. Oh, peevish Toronto neighbourhood: Like a campfire marshmallow, you just got burned. Maybe now these folks, and anyone else who hears about this stunt, will find themselves all fired up for a very worthy cause. Photo courtesy of Raising the Roof (www.raisingtheroof.org). You nailed it, friends. This entry was posted in Campaigns, Community. Bookmark the permalink.